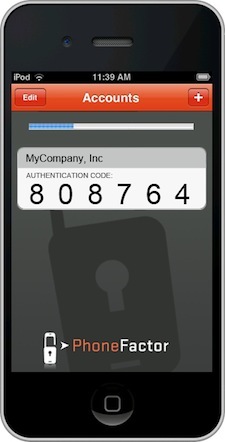 PhoneFactor Inc., a multi-factor authentication provider acquired by Microsoft, announced the availability of an authentication app for Windows Phone. The PhoneFactor App for Windows Phone extends the PhoneFactor platform to include another option for strong authentication access to both on-premises and cloud applications using the phone a person already carries. It works by prompting the user to authorize account logins and financial transactions using the PhoneFactor App on the Windows Phone. The App can also be used to block illicit activity and alert the company’s security response team. The PhoneFactor App is available for Windows Phone 7 and 8 as a free download from the Windows Store and can be used when the phone is connected to either a cellular or a Wi-Fi network. In offline mode, the PhoneFactor App can be used as a soft token to generate a one-time passcode for authentication. PhoneFactor also offers authentication apps for iOS and Android devices, as well as phone call and text message options, to deliver a comprehensive authentication solution for enterprises and banks.